Look, I feel weird about this pick too. But throw out last week against the Bears as that's probably the toughest defense Jameis Winston will face all year. And the banged up Falcons defense is the best possible matchup for any quarterback right now as they are giving up a whopping 32.6 points per game. There is little chance that Atlanta will be able to contain Mike Evans, DeSean Jackson, and Chris Godwin, so expect big numbers from Winston at a very affordable price. This valuation feels like an over correction based on Jordan Howard's 11 touches and 24 yards against the Buccaneers. 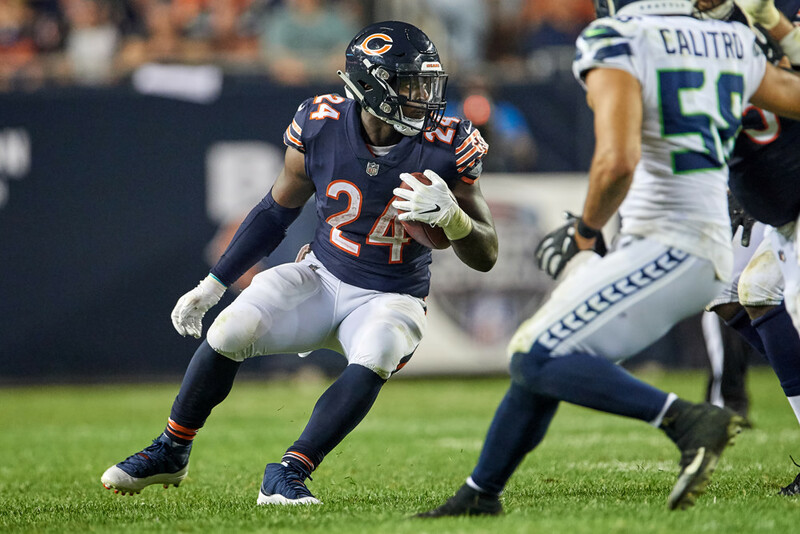 While Howard hasn't been involved in the passing game despite some offseason buzz, he remains the lead down back for the Bears and only saw a reduction in volume last week due to the blow out. Miami is in the bottom half of the league in rushing yards allowed and Howard is in line for plenty of carries in what should be a more competitive game. I expect a floor of 18 touches and a touchdown seems likely. This is a risky double down by me with the Titans playing one of the best defenses in the NFL. But, if there is one thing I am sure of in this fantasy season, it's that Derrick Henry isn't good at football. The Titans also have realized this, and continue to give more touches to Dion Lewis. Unfortunately that didn't amount to much last week due to the Titans poor offense, but touches correlates heavily to fantasy points. The Titans will likely be behind for most of this game, meaning a lot of catches for Lewis and a high floor running back on the cheap. Tyler Boyd saw his lowest snap count of the season last week as the Bengals moved AJ Green into the slot to exploit the Dolphins nickel defense. It lead to a quiet game and a lower valuation for you to use to your advantage in week 6. Expect AJ Green to move back to the outside and Boyd to see his usual 7 to 10 targets, translating to a healthy PPR stat line. That, coupled with the fact that the Steelers are giving up fourth most passing yards in the league, should make Boyd a great value play. While the sample size and his stature may be small, Keke Coutee has been one of the most productive wide receivers in the league during the past two weeks. He has seen 22 targets, totaled 160 yards and a touchdown, and has been involved as a decoy in numerous schemes. Beyond that, he seems to have chemistry with DeShaun Watson and has DeAndre Hopkins and Will Fuller to clear out the middle. Buffalo isn't a great draw, but Micah Hyde looks doubtful for Sunday meaning Coutee will be a matchup nightmare in the slot. You come here for the sleepers, and someone who had a grand total of zero receptions in his first two weeks definitely qualifies. But Cameron Brate has made an end zone appearance in each of the past two weeks, and, as I mentioned above, the Atlanta Falcons defense is a tire fire. Considering how shallow the tight end position is, if you aren't going big with Eric Ebron, you may as well save two grand and pick Brate.